Editor Debi Brannan, PhD, received her BS, MS, and PhD at Portland State University (OR). She is currently an assistant professor at Western Oregon University where she directs a team of undergraduates/postbaccalaureate students. Dr. Brannan has been an associate editor with Psi Chi Journal since 2013 and in July of 2016 is the editor. In Dr. Brannan’s scholarship as an applied social psychologist, she has focused her research on understanding how positive interactions and social support buffer individuals from stress and negative health behaviors. Using daily process methodology, Dr. Brannan has examined the effects of daily demands on work-family-school balance among nontraditional students as well as daily social support on drinking behaviors. Dr. Brannan is currently collaborating with colleagues from Harvard, University of Miami and Northeastern on musculoskeletal pain and psychological outcomes. In addition, she is particularly interested in the role of social support across cultures—specifically, the connections among social support and well-being, health, and job success. Associate Editor Mary Beth Ahlum, PhD, is a professor of psychology at Nebraska Wesleyan University where she loves teaching an array of psychology classes in developmental and cognitive psychology at a small liberal arts university. She was raised in eastern Pennsylvania but now considers Nebraska home. After graduating from Denison University (OH) with a major in psychology, Dr. Ahlum continued her education at Pennsylvania State University where she earned a master’s degree and a PhD in educational psychology. Her scholarship involves (a) intersections of our identities, (b) integration of culture and psychology, and (c) impact of positive emotions on general well-being. Associate Editor Erin Ayala, PhD, is a licensed psychologist and core faculty member in the counseling psychology doctoral program at St. Mary’s University of Minnesota. She completed her undergraduate degree in psychology at St. Catherine University in Minnesota, followed by her doctorate in Counseling Psychology at University at Albany in New York. Dr. Ayala teaches courses in quantitative methods, health and sports psychology, gender, and sexuality. She enjoys sharing her enthusiasm for psychological research and statistics with students of all levels, whether through teaching, research, or supervising independent projects. Prior to joining St. Mary’s, she taught undergraduate and graduate students at University of Minnesota-Duluth, where she received the 2016–17 Outstanding Faculty Award. Dr. Ayala’s research focuses on multiculturalism/diversity, prevention and health promotion, stress, and self-care for students and early career professionals. She has served as a reviewer for a number of journals prior to Psi Chi including Prevention Science. Associate Editor Jennifer Hughes, PhD, received her BS in psychology and business management at Auburn University and her MS and PhD in industrial/organizational psychology at Kansas State University. She is currently the Charles Loridans Professor of Psychology at Agnes Scott College (GA) and teaches in the undergraduate psychology program. She teaches Introductory Psychology, Industrial and Organizational Psychology, Psychology of Women, Psychology of Sexual Behavior, Practicum in Psychology, and Research in Industrial and Organizational Psychology. She also frequently supervises psychology majors conducting independent research projects and has published 15 papers with students in Psi Chi Journal. She has reviewed for the Journal since 2002 and has served as a Consulting Editor and presently Associate Editor. She has two main research areas, and they are dual-income couples and the physical and psychological stress of commuting to and from work. She is currently serving as the President of the Southeastern Psychological Association. Associate Editor Tammy Lowery Zacchilli, PhD, received her BS degree in psychology with a minor in sociology from Kennesaw State University (GA). She received her MS in psychology from Augusta State University (GA) and her PhD in Experimental Social Psychology from Texas Tech University. She also recently completed her MS degree in instructional design from Saint Leo University (FL). She is currently an associate professor at Saint Leo University where she has served as the Psi Chi faculty advisor since 2010. Her primary research interests include romantic conflict, Facebook use, teaching of psychology, and cyber bullying. She has presented at national and regional conferences with over 80 undergraduate Psi Chi members, and is committed to increasing undergraduate involvement in research. She teaches a variety of undergraduate courses including Social Psychology; Research Methods I, II, and III; Developmental Psychology; Child and Adolescent Development; Close Relationships; Personality Theory; and the Psychology of Parenting. She has served as a reviewer for Psi Chi Journal since 2014. She resides in Dade City, FL, with her husband, two daughters, and son. Associate Editor Steven V. Rouse, PhD, is professor of psychology at Pepperdine University (CA) where he also serves as the chair of the Social Sciences Division. Dr. Rouse earned a bachelor’s degree in psychology, and a master’s degree in counseling and clinical psychology from Abilene Christian University (TX) before earning a PhD in personality research at the University of Minnesota. In graduate school, his primary research focus was on the psychometric qualities of the Minnesota Multiphasic Personality Inventory–2. He continues to engage in psychometric research, but has also studied topics ranging from religiously based conceptualizations of self-worth to the accuracy of personality perceptions formed through Internet-mediated communication. At Pepperdine University, Dr. Rouse teaches in the undergraduate psychology program, most frequently teaching Personality, Psychological Testing and Assessment, and Introduction to Psychology, and he frequently supervises psychology majors conducting independent research projects. Before becoming an Associate Editor for Psi Chi Journal, Dr. Rouse was a consulting editor for Journal of Personality Research. Editor Emeritus Melanie M. Domenech Rodríguez, PhD, is a professor of psychology at Utah State University (USU); she began her appointment at USU in 2000. Her research focuses on family processes in Spanish-speaking Latino families. 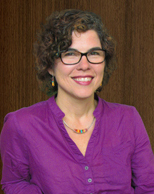 Dr. Domenech Rodríguez is engaged in programs of research in México, Puerto Rico, and Michigan. Dr. Domenech Rodríguez is passionate about training undergraduate and graduate students in research, especially research focused on eliminating health disparities. She has mentored undergraduate students on honors theses (n = 9) as well as through the USU Psi Chi Chapter where she has served as advisor since 2002. She has also mentored graduate students in the completion of their theses (n = 12) and dissertations (n = 15). Dr. Domenech Rodríguez’s mentorship has covered the spectrum of undergraduate to faculty members in her role as Editor for Psi Chi Journal from late 2011 to 2016. Most recently, she was elected as Psi Chi's 2017–18 President-Elect. Dr. Domenech Rodríguez is a licensed psychologist in Utah, Idaho, and Puerto Rico. She obtained her doctoral degree at Colorado State University in 1999. Dr. Domenech Rodríguez was born and raised in Puerto Rico and currently lives in Logan, UT. She has two daughters. Return to the Psi Chi Journal Homepage.